We went DTS this weekend and stopped in Red Bank for some shopping and food on our way back. 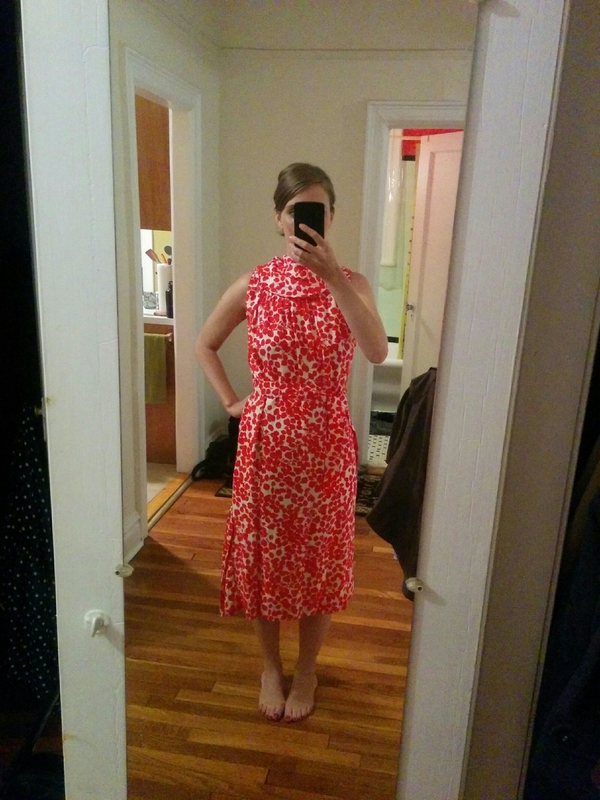 We stumbled in a thrift store where I found this awesome silk number. It needs some repair but thankfully the damage is all on the seams. I’m really in love with the collar. I think I need to replicate it in a shirt-sized garment. This entry was posted in Uncategorized on July 31, 2016 by Ninth&Adams.